Salads are one of my all time favorite foods, especially in the summer. I could eat a salad every single day! However, my family doesn’t share my affinity for all things salad, and they get super cranky when we have large meal salads multiple days in a row. Mason Jar salads are the perfect solution to my wanting to eat healthy and enjoy a great salad without prepping two different meals each night for dinner. It takes a little bit of prep work at the beginning of the week, but then you have a week’s worth of easy lunches or healthy dinners all ready to go! The key to keeping the salads fresh for up to 5 days in the refrigerator is all in the layering. You’ll first need a mason jar I like the quart size mason jars because I like large salads. I also found the wide-mouthed jars are the easiest to fill and later to dump on your plate when you are ready to eat. You can get a whole set of 12 for around $20 on Amazon, they are absolutely worth the investment! Layering: the simple layering rule is wet on the bottom, and dry on the top. Layer 2: vegetables that are fine getting wet. 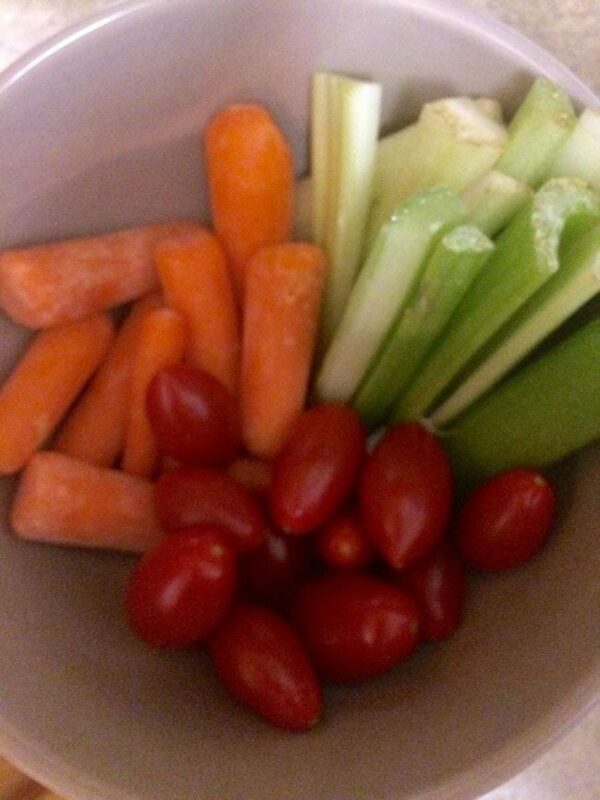 Some of my favorite bottom veggies are: baby carrots, celery chunks, grape tomatoes, cucumber slices, apples, and bell peppers. Put a lid and ring on top, keep it upright, and keep it refrigerated until you are ready to eat it. When it is time for your meal, just tip it upside down and dump all the ingredients into a large bowl or onto a plate. Mix it up and enjoy! I’ve found that if I’m prepping salads for the week, it helps to pick two types of jar salads for that week. There is enough variety that I am not eating the same salad every day, but the least amount of work. Do you have a salad recipe you love that you could easily turn into Mason Jar Salads? This is a fantastic idea. I will have to try preparing for the week. It would save me a ton of time. I have done this a few times for lunch. It is a great way to bring your salad to work. I never thought about putting a week’s worth of salads in a mason jar. It seems like such a smart idea to prepare in advance and to have such a nice treat ready! These look like a ton of fun to make! They’d be great for my kids to take to camp, or on the road, basically anywhere. I love that you can do so many things with mason jars! This is a really great way to prepare salad for the week ahead of time! This is perfect for lunches on the go! I can make these in advance and just grab and go! Yummy! I love that white balsamic dressing too! So yummy! I love, love, love mason jar salads. These look great, they really are a brilliant idea!! 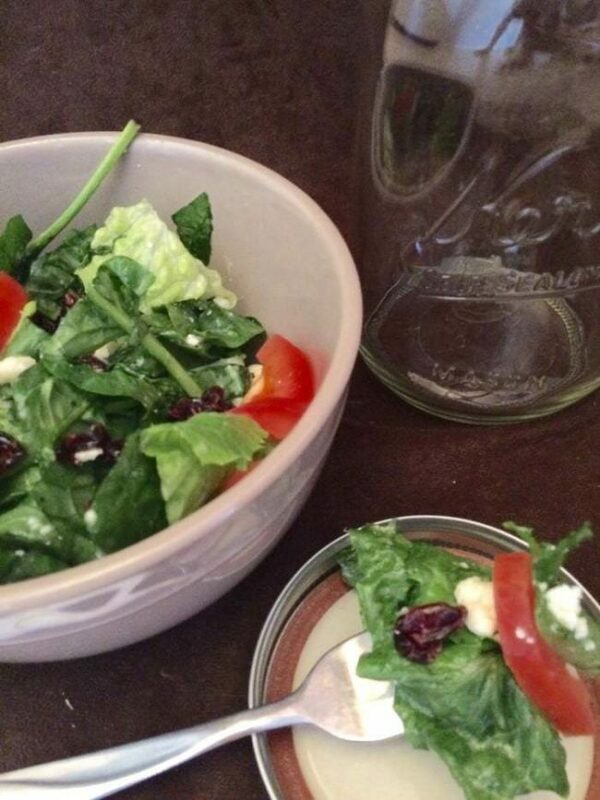 I love the idea of using mason jars for salads. They are perfect for my husband’s lunch. My friend is this all the time and take some to work with her. It keeps her eating healthy and it’s a great way to bring it along. I love making dishes in mason jars but I always worry about salads and staying fresh- I think this would be a super fun idea for a picnic! Those look great. 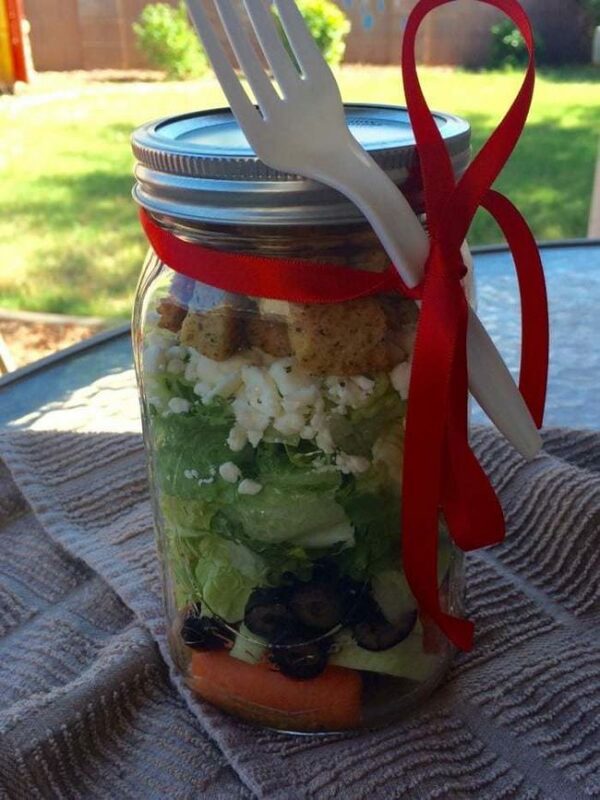 I actually love the way mason jar salads look, plus they are so easy to transport and eat. 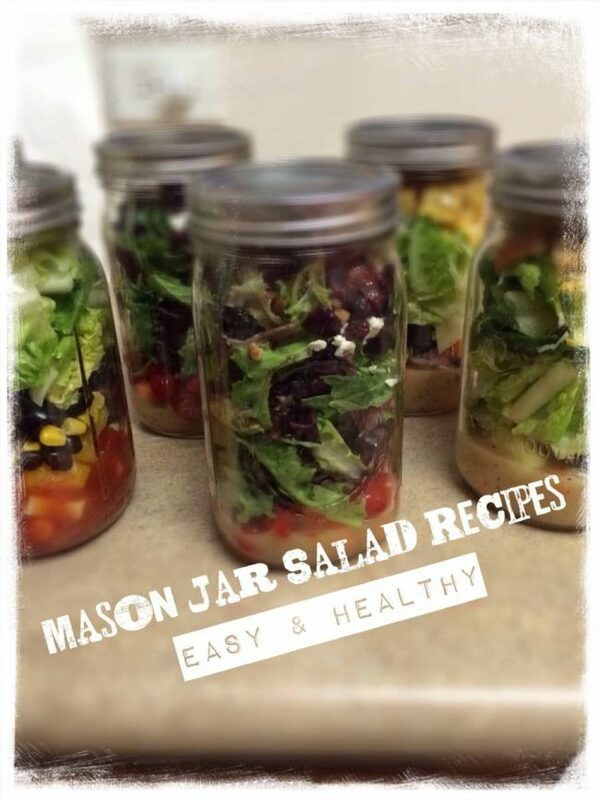 I love seeing mason jar salads and other “jarred up” foods. I’m from the south, so mason jar anything is near and dear to my heart. Awesome! We’re a vegan family and this recipe is perfect for quick meals and snacks. Thanks for the layering strategy. Pinned it!! I love Mason jar salads. It’s an easy way to make sure I have a healthy lunch. I’ve never made a mason jar salad and I’ve always wanted to. I remember, and maybe they still do (I haven’t been in a very long time) that Mc. D’s had a shake salad in a cup — this is what that reminds me of. It’s a great way to bring a salad with you – to work, the beach – wherever! Very clever! What a great way to make a salad!! 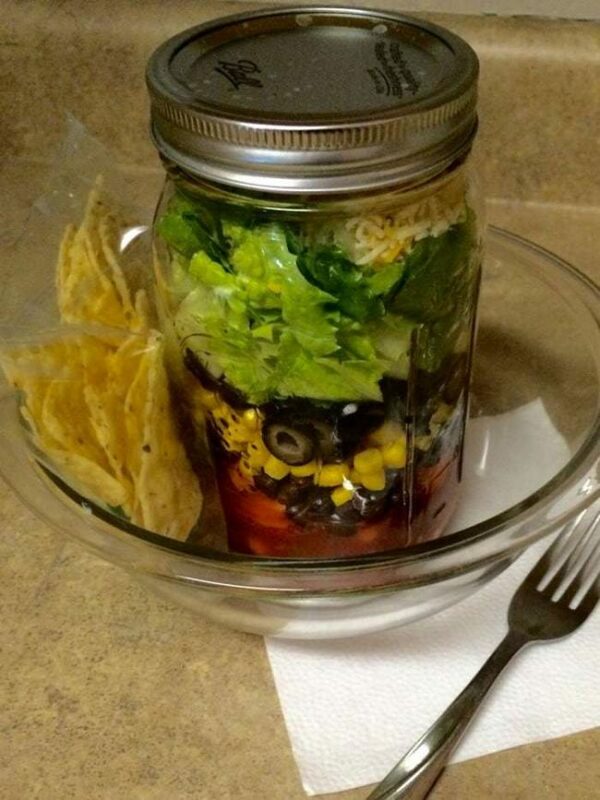 I have not made a mason jar salad before I think I need to try it out.